Firefox 3.5, currently boasting 12 million users according to Mozilla, will be updated to a newer version next month through an automatic upgrade. Makes sense that Mozilla wants to upgrade its users, for Firefox 3.5 received its last security patch approximately three weeks ago. Mozilla started offering an upgrade to Firefox 4 to people running Firefox 3.5 and Firefox 3.6 last week. According to Christian Legnitto, the Firefox release manager, Mozilla will force 3.6 on 3.5 stragglers not choosing to update to Firefox 4 or 3.6. However, Legnitto later said that his choice of the word “force” was poor, and noted that only Firefox 3.5 users who had left the default automatic updates setting enabled would be moved to Firefox 3.6 automatically. I am rather curious about this matter. Although Google Chrome OS is an operating system, it is an operating system that consists of only a web browser. It boots you into an enhanced version of Google Chrome and you do what you need to do from there. It has never been done before to my knowledge, and since major browser vendor Google is pushing this project with all that it’s got, Google Chrome OS may very well be here to stay. Who knows, perhaps Opera, Mozilla, or even Microsoft will follow? Ever since the release of Opera 11, the “set as default web browser” option is not visible in the standard installation routine. 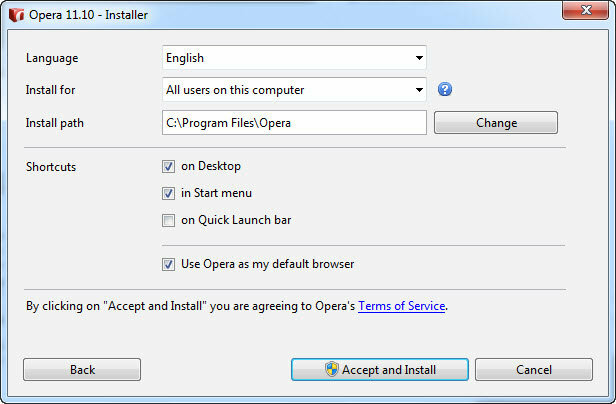 However, it is checked by default and whenever users proceed to install Opera, they soon find out that Opera has actually set itself as a default browser with no permission. Don’t worry though; you can still do so by clicking on the “Options” button. However, other browsers do give you an option to check/uncheck the following setting during the default installation. 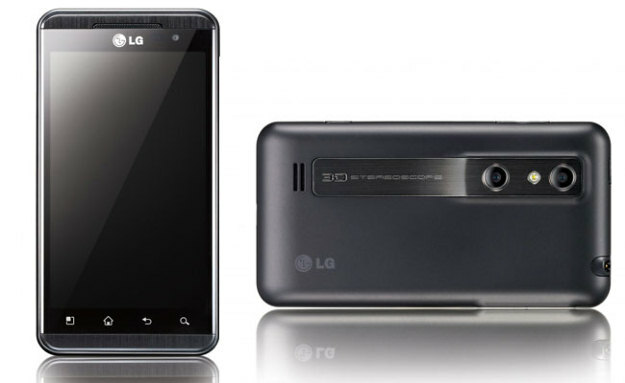 Good news for all you 2D haters, the upcoming LG Optimus 3D cell phone will save you from sorrow as it includes the world’s first augmented reality 3D browser called Wikitude. Although not many details are known, it’s not a long wait since LG plans to launch the beast this summer. Thankfully, it will not require any glasses. 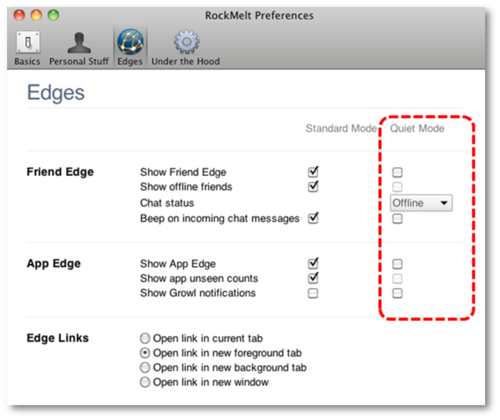 RockMelt Beta 2 has been updated with Quiet Mode, Chromium 11, supports localized results from the search box, and several performance improvements. Let’s take a look at each new addition. 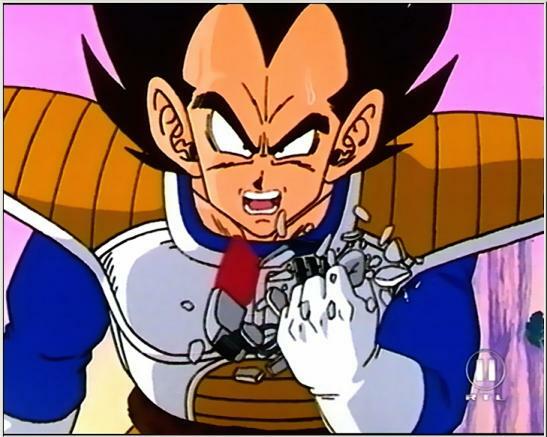 How many new major builds of Google Chrome browser can be pushed in one year? A lot. So here you have it, a plenty of releases this year with Google Chrome 13 just around the corner. Thanks to various tweaks and improvements, the upcoming Firefox 5 release, which is scheduled for the July 2011 release, will see a big jump in performance. Furthermore, due to the recent Firefox criticism on heavy memory usage, the new version will have key improvements in this area as well. Firefox 5 does indeed look promising and we can’t wait to give the Beta version a test drive. With the recent introduction of the new channel structure, it looks like Mozilla is not receiving the users it originally anticipated. As of today, the Beta release of Firefox 5 web browser is scheduled for the May 17 with the final release target set to June 21st. Google was singled out by Federal Trade Commission Chairman Jon Liebowitz this week due to not yet having detailed any plans for integrating the Do Not Track feature. What this particular privacy feature does is let consumers opt out of online tracking by Web sites and advertisers, Google belonging to both of these categories. Apple just announced they’re going to put it in their Safari browser. So that gives you Apple, Microsoft and Mozilla. Really the only holdout — the only company that hasn’t evolved as much as we would like on this — is Google.